The following feature was published in iMAGES on Sunday, Sunday September 19, 2010 in the column Foreign Front. Below is the unedited copy and the link to the published version. “Two thumbs down” – at least that is what executives from Disney-ABC Domestic Television said when they concluded that the celebrated, generation defining, film criticism show “At the Movies” was “no longer sustainable”. Once hosted by esteemed film critics Roger Ebert and Gene Siskel, whose thumbs, both up and down, became regular tags of film marketing strategists during trailers. The show that went by many different labels and ran for three-and-a-half decades in syndication finally aired its last original episode on the weekend of August 14. In a fitting twist, the show in its final episode covered, amongst other movies, “The Expendables”. For now, the balcony is closed. “At the Movies” has been an institution for movie critics, both professional and the ones in armchairs, and its influence lies far beyond the mere precincts of television. Blogs, digital news, would-be film critics on Youtube. Even on Radio. While the style – and the intelligence of conversation – varies by considerable margins, the effect is still openly visible. Even iMAGES own dedicated film review column “Animadversion”, which features a “Second Opinion” column by Farheen Jawaid, showcases hints of aspirations, albeit in a different and original voice. The effect was subdued, and not immediately noticeable, when I was asked to host a segment thrice-a-week on entertainment at the morning show “Bakhabar Savera” on ARY News (it was One World then), last year. The segment gradually turned into the first intellectual movie review show in a commercially dumb-down format that aired live twice a week (it started as a thrice-a-week segment), complete with its own rating system which was preceded by published opinions from international film critics. But the end may not be near. Mr. Ebert announced that he is working on a new show that will have “a strong Web presence” and “will go full-tilt New Media”. Rather than talking about commercial movies, which everyone with a webcam indulges into, the new program will concentrate on independent movies, documentaries and foreign cinema. “At the Movies” started young 4th of September, 1975 as a once-a-month movie review show called “Opening Soon at a Theatre Near You” at the PBS affiliate station, WWTW. The show featured dueling rival critics Mr. Ebert (the only film critic to win a Pulitzer till date) of the Chicago Sun-Times and Mr. Siskel of the Chicago Tribune. The shows selling point, which became a widely recognized staple that sustained the show through many different networks, was its sharp – and sometimes unjust – arguments of two gifted film critics. The formula clicked. The spark sustained when the show went from title changes “Sneak Previews” (bi-weekly on PBS, 1977), “At the Movies” (1981, via syndication), “Siskel and Ebert and the Movies ” (1986, Buena Vista) – which first included the “thumbs up” and “thumbs down” system, later copyrighted by Mr. Siskel and Mr. Ebert. 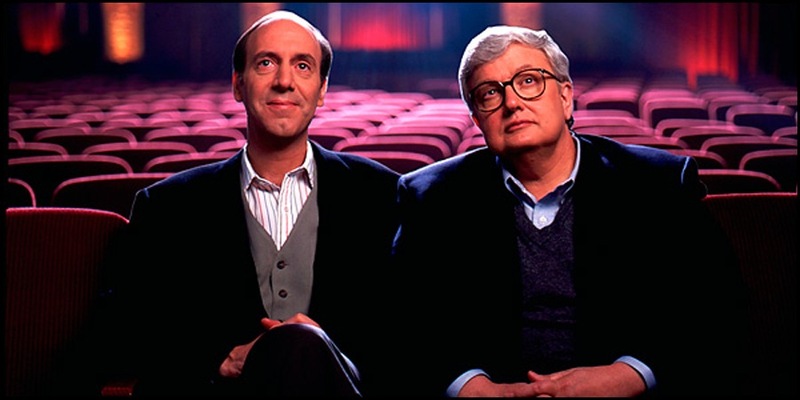 After Mr. Siskel’s death in 1998, Mr. Ebert continues the show under the title “Roger Ebert at the Movies”, with guest hosts that even included Bill Clinton. 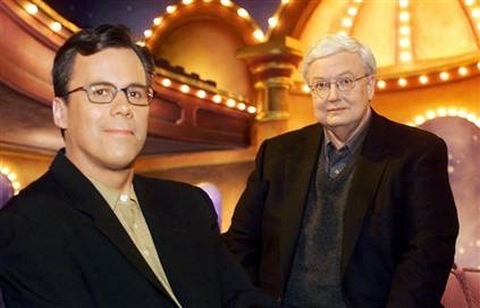 The show is renamed, yet again, as “Ebert and Roeper and the Movies” in 2000 when Mr. Ebert was joined indefinitely by the Chicago Sun-Times entertainment columnist Richard Roeper. Eventually the title settled to just “Ebert and Roeper”. In 2006, when Mr. Ebert lost his voice after oral-cancer surgery, the show starts featuring guest hosts again with Mr. Roeper, and was re-dubbed “At the Movies with Ebert and Roeper”. In a legal dispute the thumbs up/down rating system was pulled from the show. Mr. Roeper then settled with Michael Phillips of the Chicago Tribune between April and August and finally Mr. Ebert, Mr. Roeper and Disney end their relationship. As an indication of newer times, the famous balcony set that proved more resolute than the show’s various titles was dismantled. By September 2008, in an effort to fight declining rating on a weekly show (the idea of running weekdays has by now crept into television mentality), new hosts, the young and lambasted Ben Lyons, reporter for E! Entertainment and online columnist and Ben Mankiewicz radio journalist and presenter of classic movies on Turner Classic Movies (TCM) are brought in. The show also reverts back to the title “At the Movies”, which held till its cancellation. Youth and enthusiasm didn’t suit the ratings and the two Ben’s were fired the following August. The final two critics, the once-temp, returning critic Michael Phillips and often guest A.O. Scott of the New York Times, brought together a wisp of nostalgia and brains as they battled opinions with acute film insight. “At the Movies” now also includes exclusive online content to draw audiences from New Media – the show still has a staggering collection of over 5000 reviews on its website http://atthemovies.tv. Despite audience appreciation and better ratings, Disney announces that “At the Movies” has to be cancelled. The statement reads that “This was a very difficult decision, especially considering the program’s rich history and iconic status within the entertainment industry, but from a business perspective it became clear this weekly, half-hour, broadcast syndication series was no longer sustainable”. Mr. Ebert wrote in a post on his Chicago Sun-Times blog, that the blame of cancellation didn’t lie on the regular shifting of the critics, but the change in the media industry itself. He adds: “Blame the fact that five-day-a-week syndicated shows like “Wheel of Fortune” went to six days. Blame the fact that cable TV and the Internet have fragmented the audience so much that stations are losing market share no matter what they do. Blame the economy, because many stations would rather sell a half-hour infomercial than program a show they respect. Blame the fact that everything seems to be going to hell in a hand basket”. I’m admiring the webmaster, nice job on the design. Looks like your site can handle heavy traffic. I’m a little slow, please don’t remove my comments or I will get upset.